As an iPhone user, you may want to get some high resolution exciting videos on your iPhone. Sometimes, you may prefer to download some interesting videos or even get them from your friends. Thus, you may want to know how to transfer videos from iPhone to computer so you can enjoy or make them into a CD and delete them on your iDevice to free up space. Step 1: Ensure you download iTunes latest version on your Mac. Step 2: Use a cable to connect your iOS device. Step 3: A popup will appear asking you to Trust This Computer. Click to trust to continue. Step 4: Photo app will automatically open on your Mac. Open if it doesn't. Step 5: The Photo app will show all videos available on your device. Step 6: Click on the videos you want and tap IMPORT SELECTED to transfer videos to your iDevice. You can use the Windows photo gallery to download videos from iPhone to your PC by connecting your iOS device to PC. Step 1: Get the latest version of iTunes on your PC. Step 2: Use a USB cable to connect your iOS device to Windows PC. Step 3: Afterwards, click on trust or allow to enable your PC to connect to your device. Step 4: Launch photos gallery and import videos from iPhone to PC. iMyFone TunesMate iPhone transfer is an excellent iTunes alternative which provides the best transfer options from iDevice to computer, and it supports the transfer of any video file. iMyFone Tunesmate also enables the transfer of data among unlimited iOS devices, and allow them to be previewed before being transferred. Export files from iDevice to PC, external hard drive, iTunes, MP3 player and so on. Directly add medias from iPhone to PC with ever accessing iTunes. Manage videos effectively by exporting, importing or deleting. Compatible with purchased Apple files as well as files bought from Google/Amazon and freely downloaded documents. Receives lots of positive reviews from Getintopc, Geekreply. Step 1: On your PC, launch iMyFone Tunesmate and use a cable to plug in your iDevice. Step 2: Tap on the VIDEO icon on the dashboard then click HOME VIDEOS which is at the sidebar menu to start the transfer. Step 3: Select the video you want to export and tap Export> Export to PC from the menu which is at the top to begin a video transfer from your iDevice to PC. 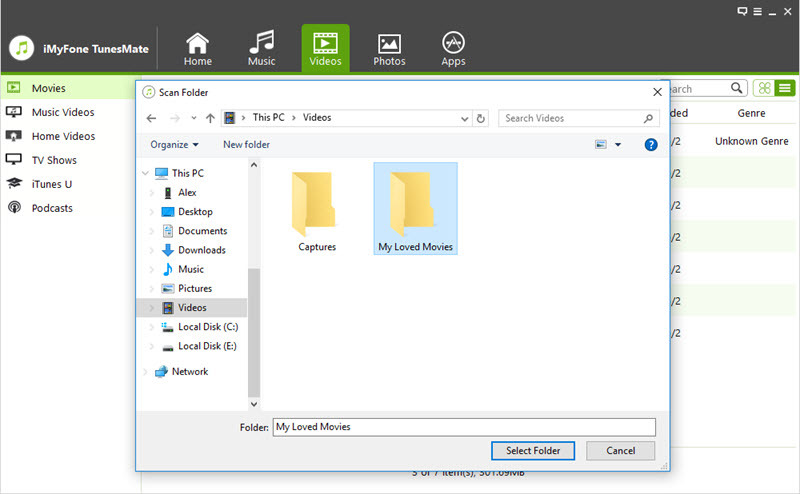 Step 4: You will see a popup which will prompt you to choose a destination folder. After selecting your preferred folder, the transfer process will begin. 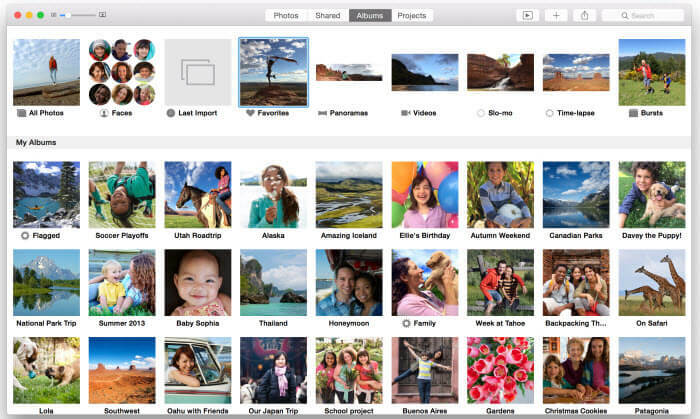 Step 1: On your iPhone, launch the iCloud Photo library. 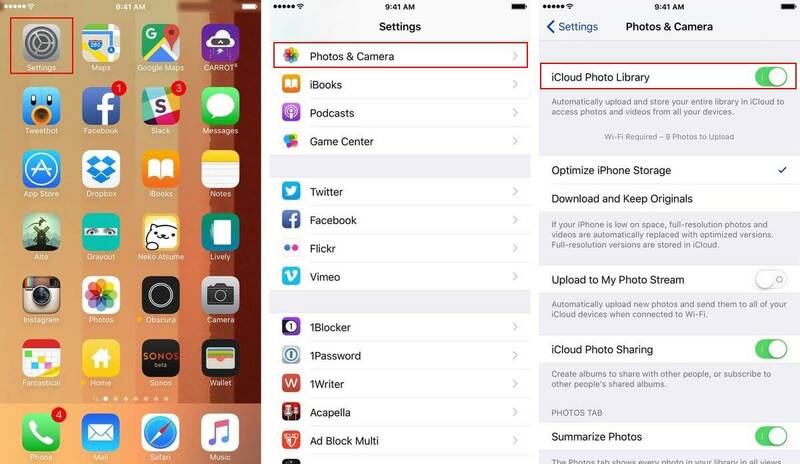 Step 2: Go to Backup storage then activate BACKUP TO ICLOUD so you can upload a video on your device to iCloud. Tap on Backup now so you can start the process. Step 3: On your PC, go to the Apple Menu and choose iCloud in preferences. Stream to transfer videos to your PC. 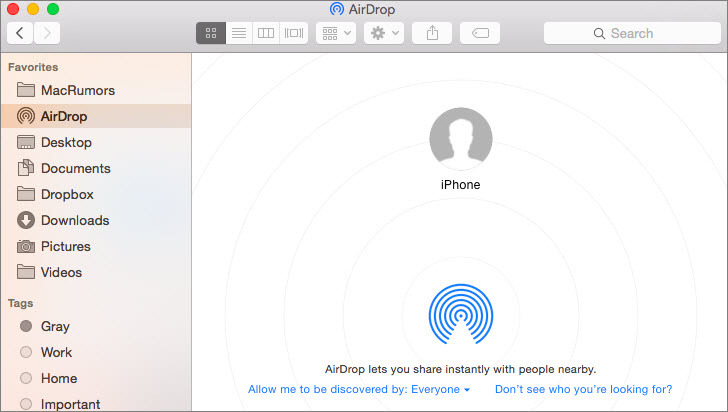 Step 1: Open a Finder window and in the left-hand column, select Airdrop. Step 2: On your PC, turn on your wifi. In case you are sharing wifi from PC to your device, stop it and connect both PC and iDevice onto the same WiFi network. Step 3: Choose the “Allow me to be discovered by” Everyone, Contacts only, or No one in the finder window. 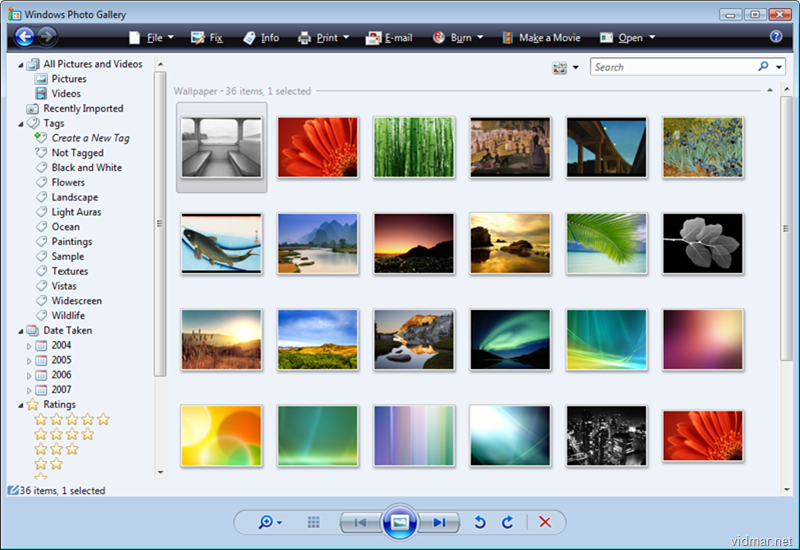 Step 4: Choose the option EVERYONE to boost the chances of your PC seeing your device and vice-versa. Step 5: Choose the video you want to export, then you will get an alert on your PC telling you to approve the file to be shared. 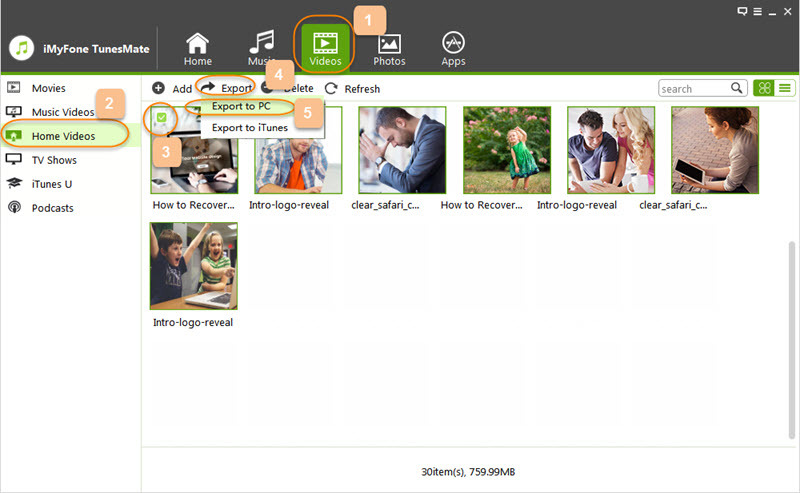 Step 6: Once you approve the transfer, the file will appear in the DOWNLOADS folder.